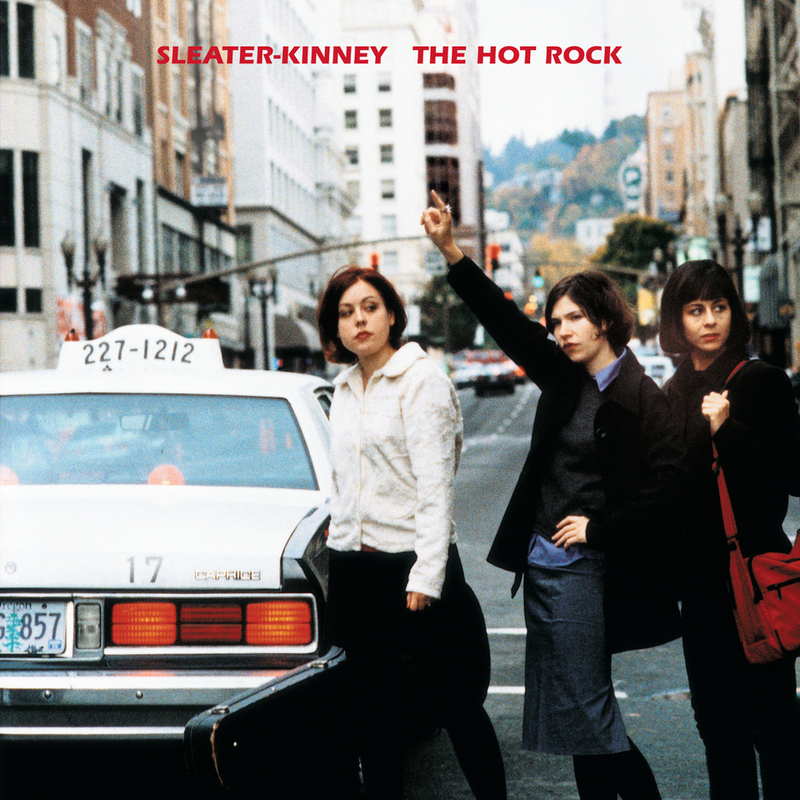 A few weeks ago I went to see Sleater-Kinney, one of my favourite bands, at the Roundhouse. They had been on hiatus since 2006, with the members working on other projects like Portlandia in the meantime, so I was pleased and surprised when they announced a new album and tour. The last time they had played in the UK was when I was doing my finals, so I’d had to give it a miss. I’d seen them before at Reading Festival, but I never really count short afternoon festival sets at massive outdoor festivals like Reading as really seeing a band properly, because you’re basically watching them on a tv screen standing at the other end of a field (one of the many reasons I don’t go to them any more). I don’t think I have ever been to such a big gig as the Roundhouse one where I just constantly ran into so many people I know and like, it was almost too much, there was someone new to say hello to every time I turned around . The band themselves were superb, and played for an hour and half. I don’t think you could ask for more, really. In my second year at university I had a job in a photo lab with hardly any customers, which was being wound down by the umbrella corporation. I was essentially in charge of the stereo because I had similar music taste to the manager, and I had a cd burner and he didn’t (we didn’t trust leaving real cds in the shop), and the other guy who worked there’s favoured genre was Operatic Metal (and what they call in Finland “Hero Metal”). It was a very strange job in many ways, and I’m in the process of writing about it for a zine. The lack of customers meant I didn’t have to worry too much about scaring them off with my music choices. I remember playing S-K’s albums All Hands on the Bad One and their self-titled debut on rotation along with Washing Machine by Sonic Youth, Neon Golden by the Notwist and various Cat Power albums. About the same time I also went on holiday to Iceland and paid a visit to Smekkleysa record shop in Reykjavik, the icelandic equivalent to Rough Trade. They had a mini museum of the label/shop in there with an exhibition of Björk’s costumes and ephemera, and I picked up Dig Me Out on vinyl for about £12. It was the only cheap thing I encountered in Iceland besides fish. It was an excellent afternoon. There’s still this sense that women are allowed to sing or play the bass or keyboard as long as they take care to be pretty while they do it, but other instruments or electronics are a bit of a challenge for their poor fluffy brains (see this article by Claire Boucher/Grimes about her experiences or my friend Stephanie’s article about her experiences of being a black woman in punk bands). The dreaded words “she’s good… for a girl” or “you know a lot about music… for a girl” get wheeled out far too often, like the expectations are extremely low, but if you do manage to surpass that low baseline you’re some kind of novelty performing poodle (and you’d better be a conventionally attractive performing poodle while you’re at it, or there’s no point to you even existing). There’s also still a lurking idea that “female” is a genre of music, or that riot grrl means “there are women in this band” rather than referring to a specific genre of music from a particular time period. Or bands are referred to as “the female version of all-male-band”. One of the things I like so much about Sleater-Kinney is that they are very much themselves, with their own distinctive sound. Here is a Spotify playlist I made with songs from each of their albums, arranged in chronological order, from their more raucous beginnings through the various evolutions of their sound. Enjoy. If they never did anything other than You’re No Rock N Roll fun they would be hero’s in my book.